Yale recently digitized and released over 170,000 photos taken by the Farm Security Administration during the Great Depression, and 331 of them were from Buffalo and Erie County. 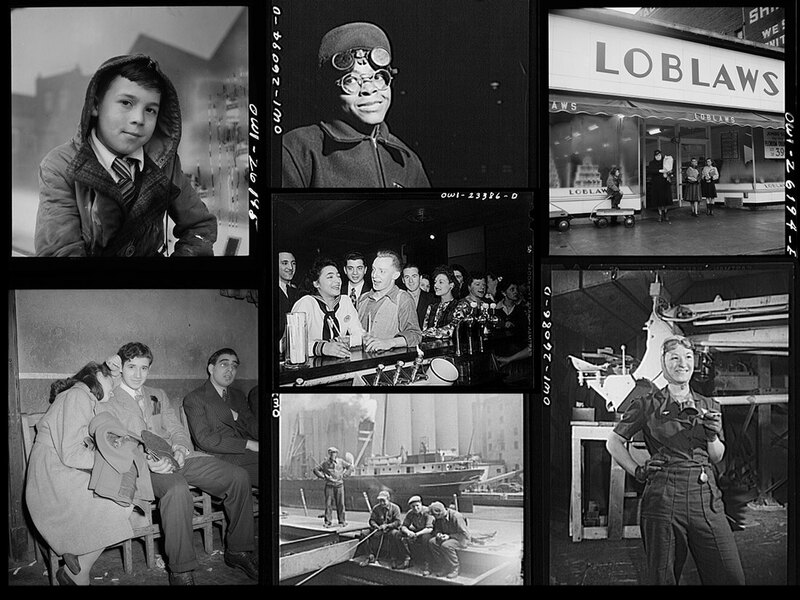 The photos, which primarily document the lives of everyday laborers and their families in Buffalo, were originally meant to gin up support for New Deal-style government programs, many of which had just been thrown out by the courts. With a keen interest in social reform, photojournalist Marjory Collins—a feminist who would go on to found a magazine called Prime Time which was “for the liberation of women in the prime of life”—took the photos you’ll see below. Collins photographed women in industry in particular, showing them not only in the factory but working to maintain their family lives as well. Decades later, these images offer a fascinating glimpse into what it was like to live and work in Buffalo during the Great Depression and World War II. Collins, implored by her boss to take “pictures of life as it is,” photographed working women candidly, showing them socializing and taking care of their children as often as she photographed them operating the machines. Collins took interest in what workers did after their shifts ended, especially swing and third shift workers who had to make time for recreation in the late hours of the night and early morning. Collins managed to capture intimate moments between husbands and wives, especially Laura and Frank Czaya, a couple of Polish descent sharing a home in Depew with Laura’s extended family. In one of her most in-depth and fascinating assignments, Collins documented the daily life of the Grimm family. Mrs. Grimm, 26, was a widow who worked all week as a crane operator with Pratt and Letchworth. Her six children, all under 12, were largely forced to take care of themselves during the week, with her two youngest spending most of their time with a foster mother. Collins also spent time at Lakeview Nursery School, which kept special hours specifically to fit the schedules of working mothers. Collins’ work also features the grain silos while they were still in heavy use, decades before they became Silo City. To view the entire project Photogrammer project, click here.